Well, Paul O’Sullivan is back in London. On your travels again, Paul? Actually, I’m flying out tonight, Alec. You know, time and tide waits for no man. You guys have put together a very strong story that has gone viral, about unpacking the criminal justice system. How long did this take you to put together? Well, the research that’s been done to get to the point where we are now, started more than a year ago. You may recall that in December (I think it was December 1st last year), we released a report through AfriForum entitled ‘Joining the Dots’. What we had set out there was the relationship between certain criminals in the underworld and certain senior cops. We were able to show that in fact, the criminal justice system had been captured. What we’ve done now, is we’ve taken it a step further. We’ve been watching what’s been going on and the penny-dropping moment came when I was looking at court papers a few weeks ago. I took on the National Prosecuting Authority and the Hawks in September last year with a court application. I never really bothered reading through the answering affidavits because the matter was settled, where I was granted an order that they can’t arrest me. Sarah-Jane Trent and Paul O’Sullivan. (Alec Hogg). A couple of weeks ago, I’m going through the papers and lo and behold: I saw a memorandum, which they’d attached to one of their answering affidavits. It was a document signed by Shaun Abrahams addressed to Nomgcobo Jiba who at that time, was the Chief Operating Officer (for want of a better expression) of the NPA. At that time, she was also the head of the Priority Crime Litigation Unit. I call it the Political Crime Litigation Unit because they’ve been bastardised. They’ve been taken over and they’re basically all carders who are prepared to do whatever it takes – albeit the oath of office – and do whatever it takes. This memorandum from Shaun Abrahams was dated 12th of April 2016 and it instructed the PCLU to manage all the investigations into Paul O’Sullivan. That got me into looking at the PCLU in more detail. Really serious, big global crimes. Transnational. 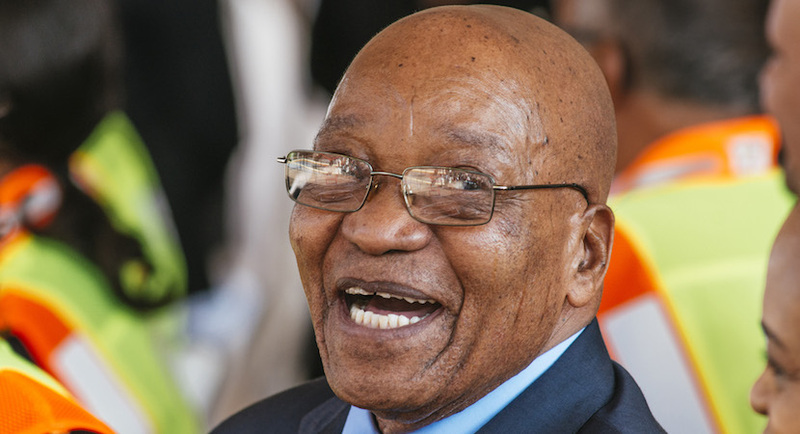 The unit couldn’t deal with any local event but there was a little caveat at the end of the Presidential proclamation, which said ‘and any other investigations as directed by the National Director of Public Prosecutions’. 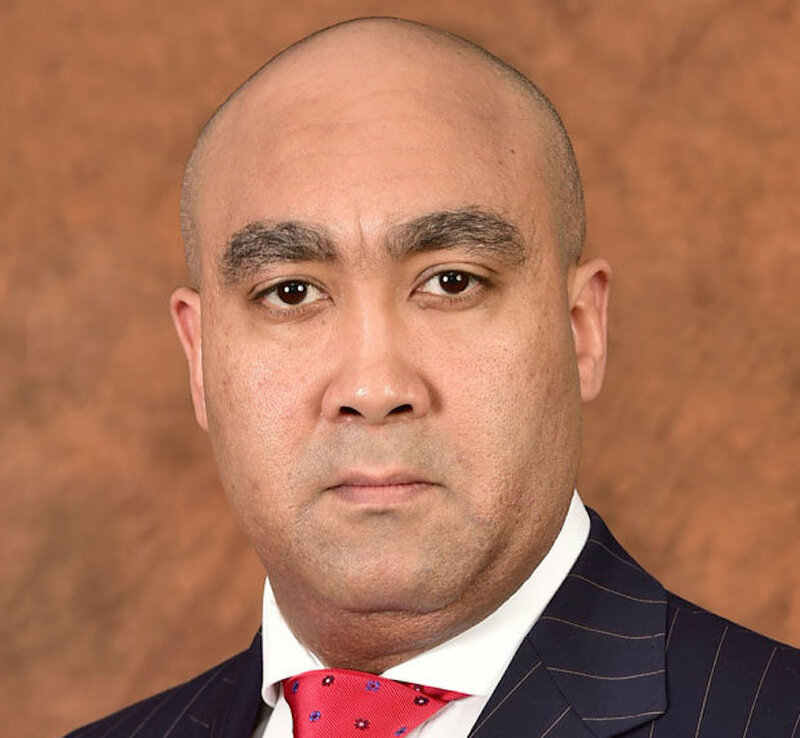 Before Shaun Abrahams was the National Director of Public Prosecutions, he was the head of the PCLU. He obviously knew all the guys there. Who better to control than people who have worked for you already? 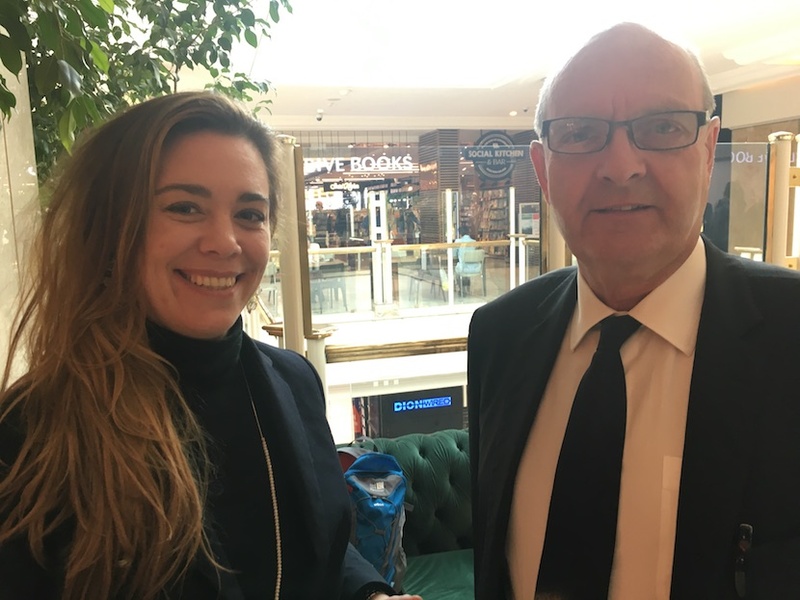 When Jacob Zuma appointed him as the (of course, we all know it’s Michael Hulley) head of the NPA, it didn’t take him long to get his backside into gear. What we’ve realised is that the PCLU are the unit that has dealt with all the political investigations. I’m talking about Anwar Dramat. That’s when they first showed their colours. Anwar Dramat and Shadrack Sibiya. Then they charged Robert McBride. Then they charged Pravin Gordhan and did a U-turn a week or two later. It dawned on me that in order for them to have been involved in those investigations, they had to have had a direction from Shaun Abrahams. They approach I’ve taken now is that Shaun Abrahams is actually the ringleader. He is the one who’s directed all of these investigations. So, he’s not ‘Shaun, the sheep’ as everybody seems to think – somebody who’s just told what to do. He could have a little bit more upstairs. Well, I think he’s a wolf in sheep’s clothing. There’s no doubt in my mind at all. He’s been playing a political game. 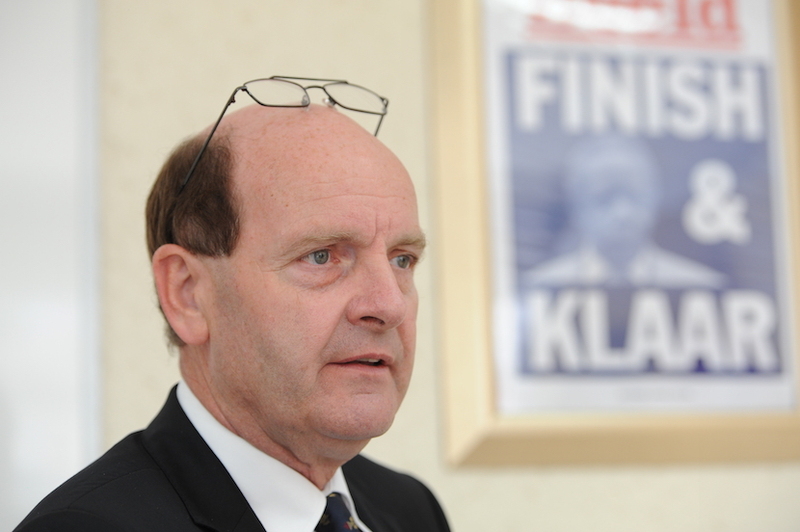 He is the person that gave the instructions to go after all of these people, including Glynnis Breytenbach. Now, why on earth would the PCLU be interested? Look at me. I used my Irish passport to travel and I had to do that because of the corruption in the police. We had Radovan Krejcir and corrupt cops out to kill me, so I used my Irish passport so that they’d think I was still overseas. Now, how the hell can that be a National Priority Crime? It’s just not right at all. Then, the instruction from Shaun Abrahams was dated the 12th of April. They yanked me off that plane on the 1st of April so their involvement with me in the first place, was unlawful. They had no right to be involved in any case pertaining to myself. Did they write that retrospectively? Well, it’s a post factum instruction, isn’t it? In the accounting world, it’s like getting an invoice and then issuing an order for the goods and services. In the criminal world, in the National Prosecuting Authority, I imagine they spend a lot of their days trying to clear up the mess that they’ve made and that would lead to writing instructions and backdating them. Maybe they’re not that bold as to backdate them, so they just issue them on that day. I think what they need to do now is plonk on the table, all of the directions to the Priority Crime Litigation Unit to deal with all the investigations that we’ve named and you will see that the Priority Crimes Litigation Unit have been used to effectively, shut down anybody that was exposing corruption. We’re saying that amounts to racketeering and we’ve got a lot of support on this and I have absolutely no doubt that if the state refuses to prosecute these people, there will be a Private Prosecution and every single one of them will go to prison. So, you’ve done all this work through Forensics for Justice, which you’ve launched fairly recently. How has it been going? What is the support like there? Well, I actually formed Forensics for Justice a couple of years ago, because something told me that we would… I was funding. I was paying for everything myself and I started thinking ‘wow, there’s a greater good out there and maybe other people in the country would want to come and contribute’. I’m not asking them to put their lives on the line like we do and volunteer to be arrested and dragged away for the weekend. I just thought that perhaps other people would want to contribute to what we’re doing. Earlier this year, we decided that we’ve got this NGO. We’ve got a website that we’d prepared but we’d never actually opened it. Let’s just open the website and see what happens, and that’s what we’ve done. Of course, as an NGO it gives us legal standing because of our aims and objectives. Our aims and objectives are to rid South Africa of corruption and that’s it – short and sweet. Now, we do it in an aggressive way. You have organisations around who will promote not having corruption and stuff like that, and they employ staff. We don’t have any employees. We’re the free employees so we work for the organisation free of charge. We do it in an aggressive way. We do the investigation. We use forensics to obtain the evidence and then we open criminal dockets. If you look at the docket that was opened this week against ‘Shaun the sheep’ and all of his accomplices, you’ll see quite quickly that there’s been a thorough investigation there. 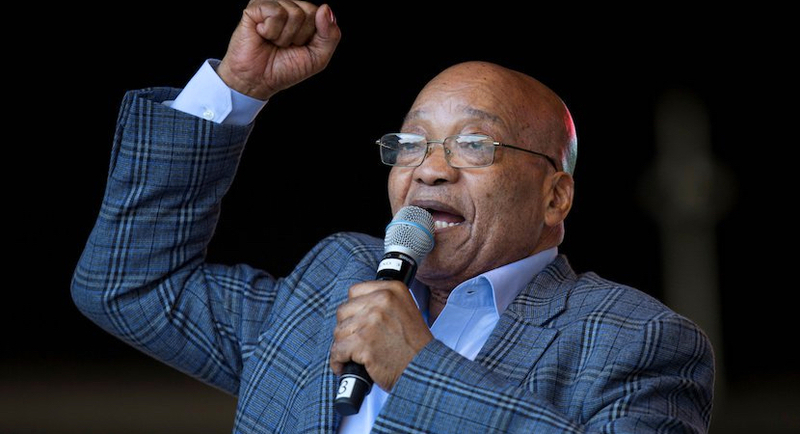 It’s been overshadowed a little by what’s been going on in Parliament with 198 ANC MP’s voting to keep Zuma – despite all the evidence – in power. How are you reading that? Is there any conclusion one can draw from it? Well, I think it was Winston Churchill who said ‘a week is a long time in politics’ and in South African politics, that’s no different. It’s like playing table tennis. You see the ball going backwards and forwards. There are a lot of political noises. The DA, with all due respect… I’m not sure if they’re good for the Rand or bad for the Rand. I just know that the Rand tanked after that resolution went down. If one considers that a year ago, we were sitting at R17.90, we’re now sitting at R17.50, there’s not really been that much movement on the Rand. I suppose that at the end of the day, politics is politics. It will carry on. There are so many people feeding at the trough. I can’t, for the life of me, see that they’re going to want to relinquish their position at the trough. Maimane has now called for the dissolution of Parliament and a General Election. Well, he’s not going to find much comfort there because all of the minority (the rats and mice) political parties are not going to want a General Election because they’re currently MP’s and they’re currently earning a salary. The last thing they want is to be unemployed. If there’s a General Election now, some of the rats and mice will fall away completely. There’ll be no more of those parties. They’ll vanish off the map so they’re not going to be in a hurry to have a General Election. I suppose it’s a similar situation for the ANC MP’s who voted for Zuma. The Criminal Justice System (as you’ve now shown in your docket, that your colleague Sarah-Jane Trent put together) is captured. One must presume that members of Parliament are captured as well, otherwise they might have voted differently with their conscience. Yes. I don’t think many politicians in the world have a conscience. I’m not just referring to South Africa. Look at this crowd in London that were having second homes, renting them out, collecting the rent, staying in hotels, and charging double for everything. Then we had other MP’s that were travelling all around the world and putting in expenses and employing the wive to do their paperwork or the brother to do something. Look at America. It’s shocking, what’s going on there now. At the end of the day, politicians are politicians. I tried my hand at it. A few years ago, I joined Agang. I was asked to join them. The day before the elections, I thought ‘no, this is not for me’. I can’t sit there and listen to people talking rubbish, and keep quiet. I’m just going to walk away from this. I think the political noise in South Africa will go quiet now for a while until we have the rerun of Polokwane. We’re going to have jostling for position. It will be the Zuma camp and the Ramaphosa camp, and one of them will win. For South Africans, I’m hoping that Ramaphosa will win because if the Zuma camp wins, we’re going to have another five years of unethical leadership because they’re going to go out of their way to steal the rest of the country. Paul, you’ve worked through the court system. You’re working through the Justice System, but it appears as though – given what you’ve uncovered – there are people who are just abusing it, who don’t really respect it the way that you do. Are we not perhaps, coming at this from an angle that is futile if those in power don’t really respect the law (and a lot of South Africans feel that way)? Yes. If you look at the activities of some of the other NGO’s, we at Forensics for Justice have been focusing on putting together criminal dockets. In a way, we’re setting a trap for these people because they either ignore the criminal dockets or they investigate it and they do something about it. I can’t see them all arresting themselves so we’re going to push them into a corner and once they’ve been painted into a corner, we’ll be off to the other part of the Justice System, which is the Civil Courts (the High Courts) and they’re currently uncaptured. I’m sure Zuma now regrets appointing Mogoeng Mogoeng, but you know, it’s done and dusted and now we’ve got good ethical leadership in the Judicial System. If there’s going to be no proper prosecution of all these criminals, there will be private prosecutions and everybody is aware of the fact that Gerrie Nel is now with AfriForum and I’ve got no doubt. I know what prosecutions have been lined up there (but I’m sworn to secrecy) and I’ve got no doubt that if they don’t do what they have to do and are supposed to do in terms of the Constitution in addressing all these corrupt individuals that have tried to take over the Criminal Justice System (or have taken over the Criminal Justice System), they will be prosecuted privately. We have to send out a very clear signal that this type of conduct isn’t on and the best way to do that is to send these criminals to prison. So, you sound hopeful that at a time that looks very dark for South Africa in many respects, that the dawn will break. I’ve got no doubt about it. I must admit that earlier this year, I was having doubts about whether we could win and then there was a cabinet reshuffle, which led to the current vote of No Confidence. Well, there’s a light at the end of the tunnel and every cloud has a silver lining, as they say. That cabinet reshuffle led to the appointment of Fikile Mbalula. If you look at the pecking list on that docket that we opened this week, you’ll see that fairly close to the top was Ntlemeza and Phatlane. Well, the first thing the new Minister of Police did was to get rid of them. It shows there are some ethics out there. We’re all very quick. I’m not saying Jacob Zuma is on my Christmas card list or anything like that, but we’re all very quick to blame everything on Jacob Zuma. Well, I suppose you can because it’s the people he surrounded himself with. He’s been taking counsel from people like Ntlego (the previous Minister of Police) and he’s got the guy that hangs around with the Ling Ling twins in Nelspruit – David Mahlobo. When you take counsel from people like that – people who go to massage parlours run by rhino horn traffickers – you’re not going to get a happy ending. You’re going to have an unhappy ending although David, I believe, may have had a few happy endings. Zuma has surrounded himself with people like that and taken counsel from them and I think he’s finally realising that people like that (like Michael Hulley and others) have been blowing smoke up his backside. What they’ve done is they’ve used their closeness to Zuma to appoint criminals in the Criminal Justice System – people that were flexible and didn’t care a damn about the Constitution, didn’t care about the National Prosecuting Authority Act or the Police Service Act and didn’t care about the Oath of Office that they’d taken and just decided to do whatever it takes. They’ll hide behind this cloak of ‘we’re doing it for Zuma’ but the reality of it is that they’re doing it for the underworld. They’re doing it to protect criminal syndicates and that’s all these people are: they’re criminal syndicates. You’ve only got to look at all the people they’re connected to, which is well set out on that Forensics for Justice website. When you look at that annexure of the report called ‘Joining the Dots’, you can see who all the criminals are and they’re being protected. They’re a protected species. Yet the resources of the South African public are being used to chase down those that are exposing corruption and I’m telling you now, “It’s going to stop and it’s going to stop, probably quite soon.” I’m fairly confident that by this time next year, the Criminal Justice System will be free of all that evil. It’s an interesting angle there because earlier this week, Peter Bruce, wrote a piece saying that he expects/suggests that Zuma might throw the Guptas under the bus (as he put it). What you’re suggesting now, if I follow your line of thinking… might Zuma himself, turn State witness and put all of these people around him who do appear to have influenced him in a way…throw them under the bus as well? Is that even a possibility? I think they’re all probably standing on the side of the road right now. Alec, one of the things that we were asked is, “Why haven’t you opened a docket against Zuma?” I’ve repeatedly said, “Well, we’ve looked for evidence and we haven’t found anything that we would class as tangible prima facie evidence, that implicates Jacob Zuma in wrongdoing.” I’m not talking about the 783 charges because I’ve never been there anyway. I’ve never looked at that anyway. I’m talking about in the last few years, I’ve not found anything that shows (to me) that he’s been engaged in criminal conduct. Now, some of the criminals that I’ve investigated and are behind bars today, are really smart criminals but they’ve left audit trails and they’re in prison. I’m not suggesting for one moment that Zuma is an angel but if he’s the criminal and has the criminal intention that everyone says he has, he’s not leaving much evidence of it lying around. A middle-man would approach a big company and say, “Listen, I’m a close friend of so-and-so who’s on the Procurement Panel. If you want a guarantee that you’ll get that tender, this is what you have to do”, they money would change hands. The corruption process starts. However, now the problem is that they’ve actually been stung because when it comes to the tender; if they’re lucky and they get the tender, they’ll think that was because of the payment they made but the reality of it is that they’ve got the same chance as everybody else because there was no payment made. The middle-man kept the money. I think there are a lot of middle-men hanging around Zuma and they’ve been enriching themselves off the coattail effect. His own son is one of them. Perceived influence, which they don’t necessarily have. Well, they probably do have the influence because if I’m correct in thinking, Duduzane Zuma was present at the Gupta’s house when people were brought in and told, “By the way, would you like to be a cabinet minister? There’s a sack of cash if you want. That’s your down payment. There’ll be a few bob more to come.” Now, in order for that to have happened, there must have been some influence but there’s no real evidence of that influence existing. Are we to believe then that Duduzane Zuma had the ear of his father? Well, most children do have the ear of their father. If my kids come to me with their persuasive manner… My youngest one Mary, is ten years old in a couple of weeks’ time and she’s persuaded me to buy her a Shopkins, whether I wanted to or not. You do these things. If there’s a conspiracy going on, which there probably is, you’ve got someone like Duduzane and possibly someone like Edward. You’ve only got to listen to him on the radio to realise what a complete pariah he is. You’ve got people like that in Kulubuse… You’ve got these people hanging around Jacob Zuma who probably have a meeting and decide, “How are we doing to do this?” One will go and say something and another will go and say something, and Jacob thinks, “Maybe they’re right – my children. I should appoint this guy as a minister.” Meanwhile, the deal’s already been done at the Saxonwold shebeen. Well, it’s lots of ideas and insights, and looking into people’s heads. There are many who would not give Zuma the benefit of the doubt that in a way, you are giving it to him in this way. However, if you haven’t found any hard evidence… That’s what a forensic investigator does. You’ve got to work on the facts. Now, the problem is that if it’s me and my wife, I think that would be a fairly easy case to prove but because of the cultural differences, you have a man that’s married to more than one woman and they probably have their own little things going on here, there, and everywhere. Because they’re Zuma’s wives, they’ve probably also got their finger in the pie somewhere or the coattail effect has led to them also being involved. Even his mistresses have a piece of the action. You’ve only got to look at South African Airways. You have a situation where you have to prove. It’s not enough to prove that his wife benefited. You have to prove that he benefited. Now, that’s your difficulty and if somebody brings me the evidence or points me in the right direction, I will gladly go and do what needs to be done but I’m not in a hurry to rush off and open a docket with no evidence. It’s just not my scene to open dockets where there’s no evidence because it’s starting to sound malicious rather than professional. What happens next? Sarah-Jane has put together this lengthy affidavit, which many people are now reading. The Criminal Justice Authorities: are they expected to act in some way or do they just throw this into File 13? Well, they’re not allowed to throw it into File 13. Of course, they will do but once they do that, we’ll get it out of File 13 and we’ll run with the private prosecution. We’ll get some funding together for that. We’ll have to but if we shut down the captured portion of the Criminal Justice System and we return the Criminal Justice System to normal operating procedures… You know, there are people going into the police stations on a regular basis and opening dockets and the case is not even investigated. Well, a large portion of the Criminal Justice System is being wasted on chasing political butterflies and I think we’ve made it our mission now, to restore control of the Criminal Justice System so that it does what it’s supposed to do in terms of the Constitution.